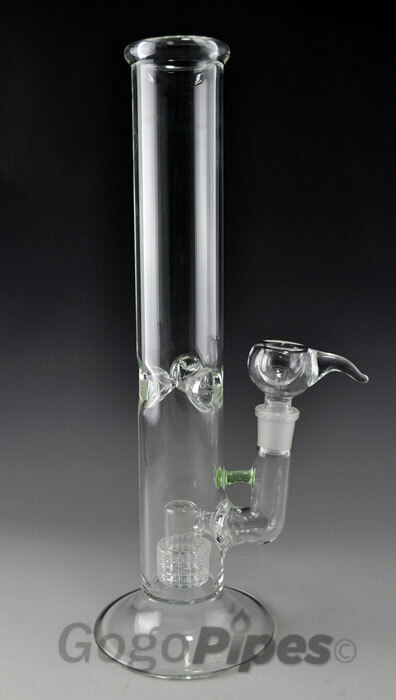 Pros: Thick, can be passed off as higher quality glass. Pretty damn straight and well made. Easy to clean. Straight stem line. Good air flow. Smooth. Would buy again. Cons: A little bit of glass dribble around the angle of the stem, purely asthetic though. Only noticed because thats where i hold it. Comments: Another commenter mentioned it tends to kick back at you. Displaces alot of water, if you dont pull the slide after a rip, the pressure goes back out of the bowl. Has ejected a loose pack once. Though coupled with an ash catcher and some ice, aswell as a little mindfulness and this is an amazing piece for the money. Pros: This bong is amazing. It's not too large, it has a comfortable mouthpiece, and it's sleek and the extremely thick glass makes me more confident transporting it places. The weakest spot is probably 2mm being the thinnest, with a very sturdy base. On to smoking, the hits are incredibly smooth, you have to crush up some ice cubes and throw them in as well for the full effect. The filtration really is something. You barely know your hitting it until you look down and see you burning half the bowl away. Just watching this thing percolate is ridiculous. Cons: There isn't really much to complain about unless I get picky. 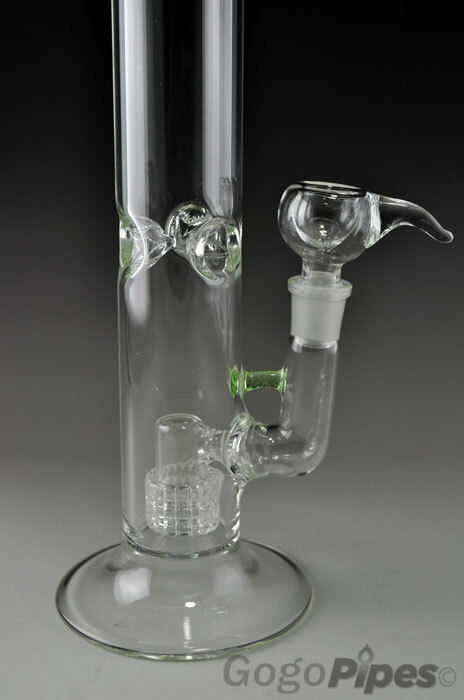 The upper neck of the bong could be just a little wider, its harder to fit any ice cubes in there unless you crush them once or twice first. The color is a little plain, I bought a blue bowl to go with the three blue spots at the top of the bong. Adds to the beauty, and it's easier to keep looking clean. Comments: This bong really has a way of pulling back at you making you just want to pull as hard and as deep as you can back every hit. Definitely gonna get a full hit every time. I named this bong Galileo's Telescope.